In higher education, professional online identities have become increasingly important. A rightly worded tweet can cause an academic blog post to go viral. A wrongly worded tweet can get a professor fired. Regular news items in The Chronicle of Higher Education and Inside Higher Ed provide evidence that reputations are both built and crushed via online platforms. Ironically, given the importance of digital identities to job searches, the promotion and distribution of scholarly work, pedagogical innovation, and many other components of an academic life, higher education professionals receive little to no training about how to best represent themselves in a digital space. - successfully promote their professional accomplishments. Managing Your Professional Identity Online is practical and action-oriented. 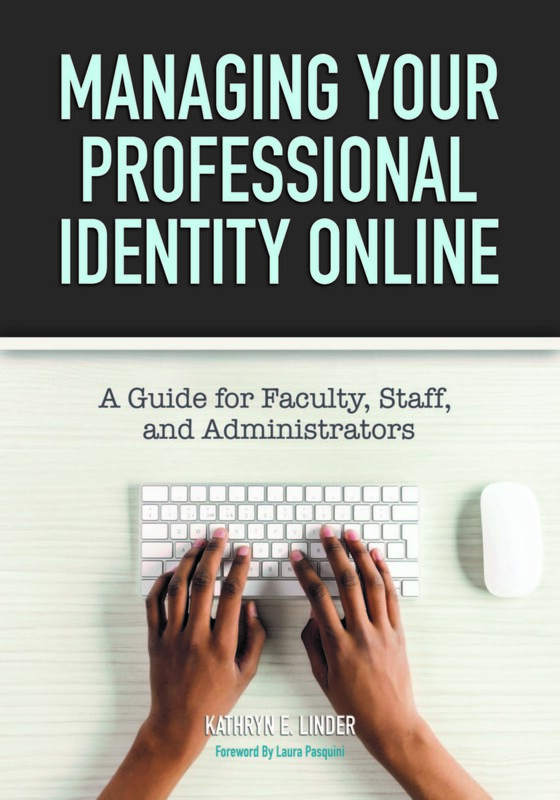 In addition to offering a range of case studies demonstrating concrete examples of effective practices, the book is built around activities, templates, worksheets, rubrics, and bonus materials that walk readers through a step-by-step guide of how to design, build, and maintain professional online identities. 1)	What Makes a Strong Digital Identity?